I love baking cookies and love experimenting with new combinations. When I spotted these new Ghiradelli caramel chips in the market, the makings of a great cookie recipe started formulating in my culinary imagination. 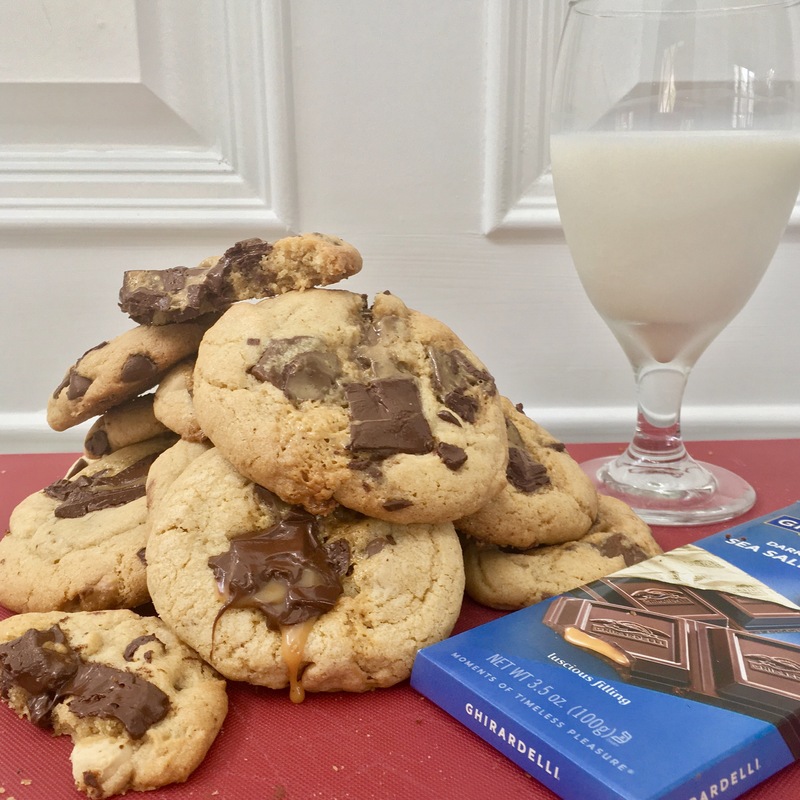 I passed the candy aisle and found a ghiradelli dark chocolate sea salt caramel bar and a new cookie recipe was born….